Presidio DaybedPresidio Daybed, alt="Presidio Daybed, "
Print Perfect for grown-up and kids' spaces alike, this versatile shape keeps things simple with clean lines and a tailored slipcover. Propped with pillows, it becomes a comfy spot to lounge by day. And the trundle below makes it ideal for weekend sleepovers. 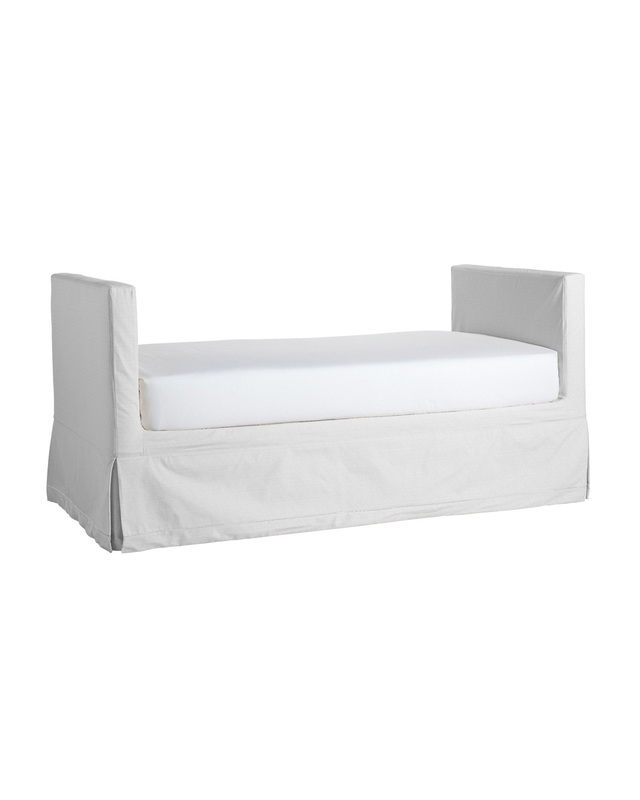 Headboard and footboard are thickly padded for comfort. Hand-applied Dark Walnut finish for the solid wood legs. Additional slipcovers are also sold separately. Only available in a twin size with a trundle. Trundle has a 9" clearance and 15.5"H.